Born in Santiago, Chile, and raised in Washington, Kari Campbell’s unique upbringing is matched by her unique professional experience as an accomplished opera singer, with an educational background in vocal performance. Having toured through Japan, Europe, and the United States, she has performed with several opera companies and orchestras. Although her education and singing experiences have been very rewarding, her lifelong dream has been to work with animals. 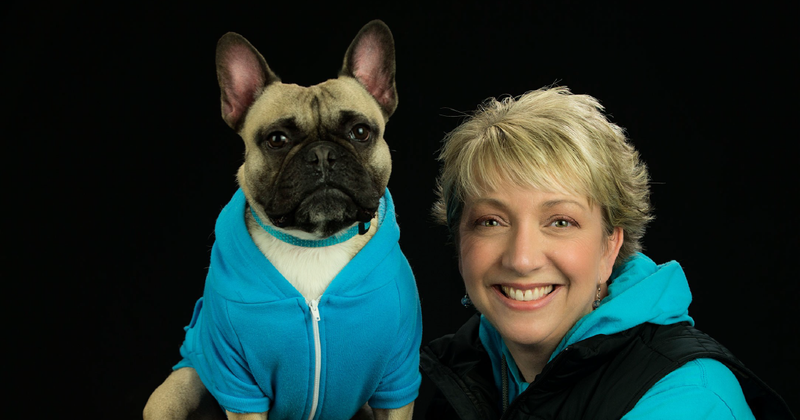 In 2005, Kari founded Dog Tired Doggie Daycare in Anchorage, Alaska. Kari’s facility is a bright and vibrant place for pups to play, with the health, safety, and well-being of her guests remaining her top priority. Her passion is to provide the highest level of care for her clients through education, compassion, and communication. She shares her life with a Pug/Boxer, Tobe, and a French Bulldog, Newton. Kari learned about PACCC through an online post by The Dog Gurus, and completed her full registration within two days. She sat for PACCC’s Certified Professional Animal Care Provider (CPACP) exam in October 2016 and officially joined the PACCC with a passing score when the results came in in November 2016. After achieving CPACP status, Kari continued her PACCC certification journey and, today, is a Certified Professional Animal Care Operator (CPACO). PACCC: What was your motivation for becoming a CPACP? Kari: I am personally a firm believer in continued education. But many of the educational venues at the time were take an online course and get a certificate that says your certified. Having a third-party exam that tested my overall knowledge in the pet care industry was very exciting. In my market we have a number of pet care providers who do not follow safe practices. Becoming PACCC certified elevated myself and my staff above the other providers in our community. PACCC: Has being certified made a change to your business? Relationships with staff or clients? Reputation in the community? Kari: Absolutely! We educate our clients and potential clients all the time about the training we provide our staff, the steps we take to ensure their pets safety, and the importance of having our staff sit for an independent exam that tests their knowledge based on the training we provide. We can honestly state that we are trained and certified professionals in what we do to provide the highest level of pet care in our community. Our reputation and brand have grown tremendously since my staff have become certified. PACCC: Would you recommend certification to other pet care professionals? If so, why? If not, why not? Kari: I highly recommend pet care professionals become certified. There is no downside to the process and what it can do for your business and staff. PACCC: Anything else you would like to add? Kari: In an industry that remains generally unregulated, this is an important step that pet care professionals can take to set themselves in a competitive market. Congratulations on being a trendsetter, Kari. So glad to have you as a part of the PACCC!